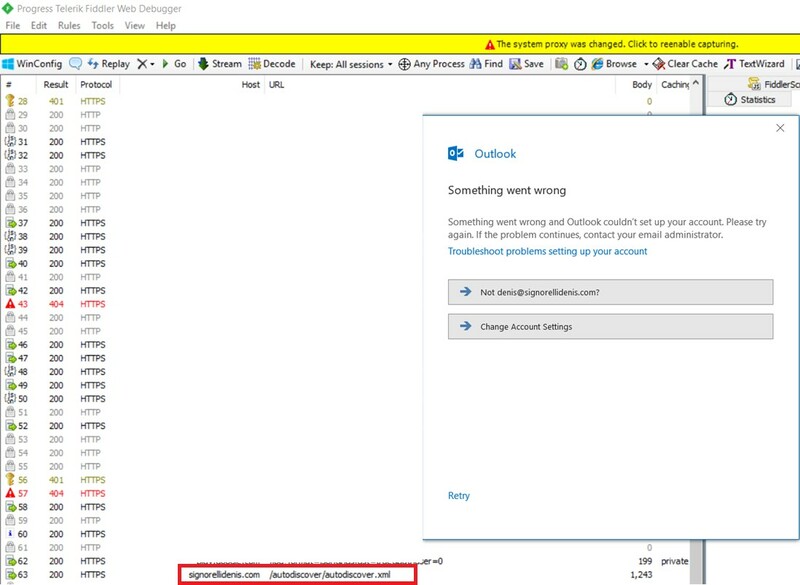 Outlook on non-domain joined computers, or even those domains joined but outside the internal network, presents error in the Autodiscover response. 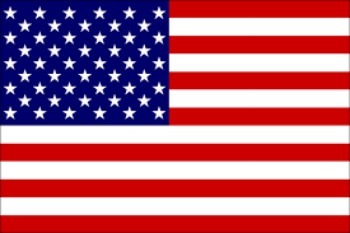 The right response would be came from the address autodiscover.signorellidenis.com/autodiscover/autodiscover.xml . So I was able to find out that who was actually responding the Autodiscover wasn’t my Exchange Server, but some internal provider service that hosts my website. Then I did some research and confirmed my theory that there was another service responding the Autodiscover. The CPANEL which hosts my website was the source of the Autodiscover response, actually it offers the Autodiscover service for those who uses the Webmail in order configure Outlook or Thunderbird as IMAP or POP3 more easily. That’s why Autodiscover response brings only IMAP, POP3, and SMTP. 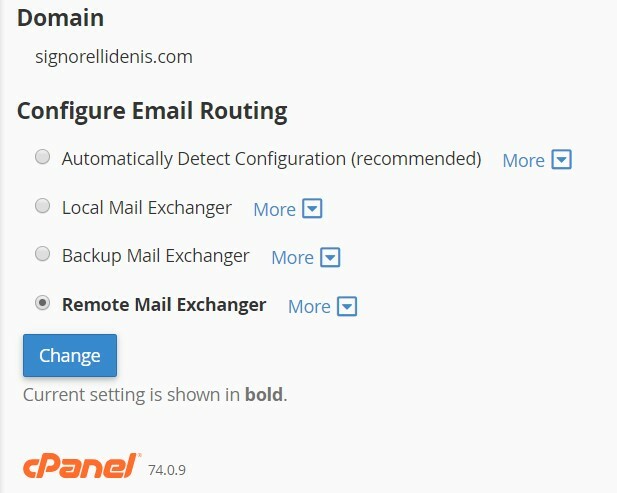 In order to fix the issue, I set the “Remote Mail Exchanger” option in CPANEL. In a nutshell, this option tells to CPANEL that you will use your own mail server and do not want to have Autodiscover responses provided by CPANEL.